Where Can I Buy Hamsters Online? There are many items that can be purchased online, though pet hamsters cannot. 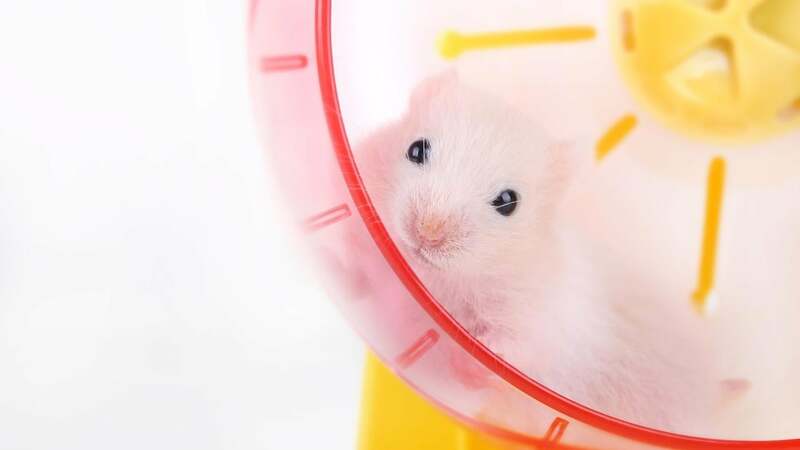 However, some pet retailers will feature hamsters on their websites for informational purposes, with the pet available for purchase in person at the store. One online retailer that displays hamsters on its website is PetSmart. PetSmart lists the hamster varieties as well as the prices of the pet. Each type of hamster also has a description on the site, detailing the species’ attributes and personality traits. There are also reviews for each type of hamster, in order for potential pet owners to find out more information about their potential new pet. Rescue groups, such as Tiny Friends Small Animal Rescue and Given A Chance Hamster Rescue, post information about their hamsters online, for potential families to adopt them. Potential families will be screened before a hamster can be adopted. Like retail operations, this website lists the personality traits, temperament, age and appearance of their hamsters so adopters can find an animal that meets their specific needs. The only case where hamsters are available for purchase online, is when they are no longer living or sold as pets, but frozen as food for tarantulas, snakes and other reptiles. Why Do Hamsters Fight Each Other? Can You Give Hamsters a Bath? What Are Some Good Names for Hamsters? How Many Animals Are Abandoned Each Year? Where Can I Find a Pocket Monkey for Sale?